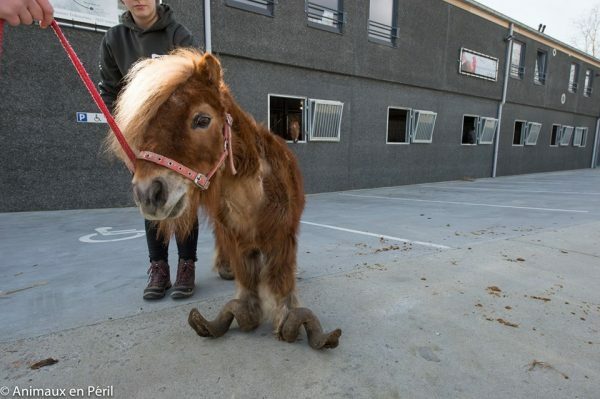 Horses need to have their hooves trimmed every few weeks, but Poly, a Shetland pony recently rescued by an animal shelter in Belgium, hasn’t had hers trimmed in over 10 years. Now, she may never walk normally again, due to damage to her joints. As you can see in the gruesome photos below, Poly’s hooved had grown so much over the years that they eventually became thick keratinous spirals that made it impossible for the animal to walk properly. It’s hard to imagine how someone could ignore something like this for so long, but unfortunately, the pony’s owner was the only one who knew about it. They say claw machines are rigged to prevent users from actually catching a prize, but one Chinese man seems to have learned their secret. 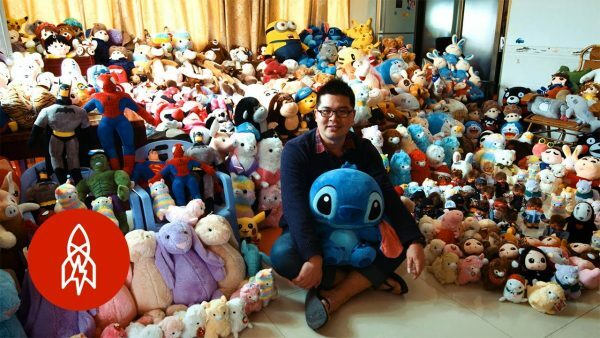 In just one year, Chen Zhitong has amassed a collection of over 15,000 plush toys from claw machines. When we first heard about Chen Zhitong, about a year ago, he was making headlines in China for his ability to control claw machines in his home city of Xiamen. He had already collected over 3,000 toys at the time, which is a lot more than most people catch in a lifetime. But our boy has been very busy this past year, and now his collection of claw machine toys stands at a whopping 15,000. That has to be some kind of record! Chen’s reputation as a claw machine master has now transcended Chinese borders, and he was recently featured in a short documentary by Great Big Story. In it, he talks about how he chooses the claw machines he plays at, his relationship with claw machine operators and what he does with all the toys he wins. If you’re planning a vacation on the shores of the Baltic Sea, in northern Poland, you’d better buy or build yourself a space separator if you want to fit in. The bizarre accessory is apparently a must on Polish beaches, at least if you want to fit in with the crowd. I was recently browsing through obscure Eastern-European pic dumps and news aggregators, as I usually do, when I came across a collection of strange beach photos where everyone had a cloth wall surrounding their little patch of sand. These things were everywhere, I had never seen anything like it before, and I was intrigued. Unfortunately apart from the title, “Polish Beach Introverts”, which hinted at a privacy-related purpose, there was no explanation as to why everybody was using them. So I started Googling all sorts of phrases that I hoped might shed some light on the mystery of Polish beach separators. At first, I only found duplicates of the same collection of photos I had originally found, with no other information, but eventually I found a Russian site on Poland affairs that actually covered this “phenomenon” quite extensively. 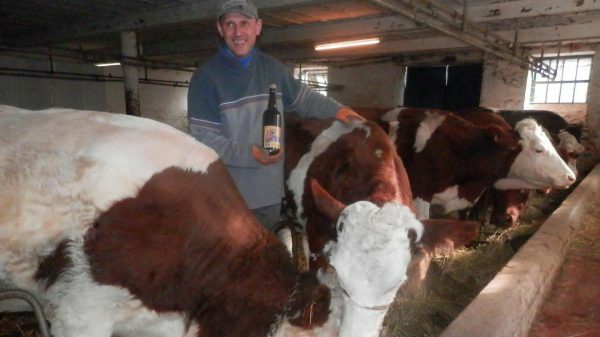 Hugues Derzelle, a cattle breeder from Chimay, Belgium, believes that one of the secrets to great tasting, marbled beef could be beer, so for the past few months he has been giving some of his cows four liters of dark beer every day. Derzelle says he came up with the idea after reading that Japanese Kobe beef producers massage their cows, play them soothing music and give them beer to drink. A quick Google search reveals that this is nothing but a myth, albeit a very popular one, but that doesn’t seem to have mattered very much to the Belgian breeder. Since November, he has been treating two of his cows to four liters of local Sara de Silenrieux dark beer, in the hopes that it would improve the marbling of their meat as well as the taste. People are freaking out over a series of photos of people holding something censored by what looks like a photoshopped black circle. Only that’s really just an object painted with Vantablack, the world’s blackest black. Developed by UK-based Surrey NanoSystems three years ago, Vantablack has been fascinating both scientists and artists ever since. This amazing pigment is composed of a series of microscopic vertical tubes that deflect light between them, essentially trapping it. 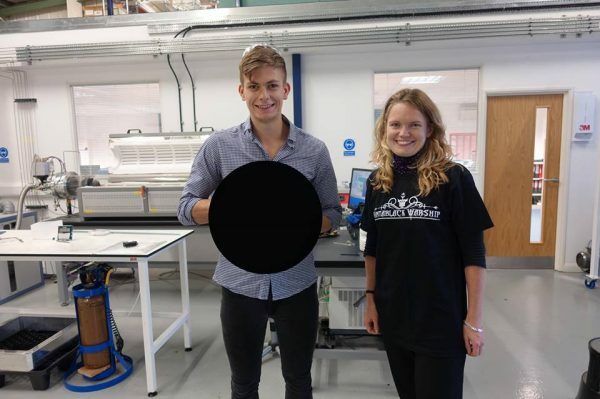 Vantablack apparently absorbs 99.96 percent of light that hits it, making any three-dimensional object coated with it look like a black two-dimensional flat surface. So the object in these photos could literally be anything and you could never tell unless looking it from an angle that reveals its texture and depth. If you thought pineapple was the worst thing to put on a pizza, you were very wrong. A restaurant in Japan is offering pizza topped with cotton candy and seasoned with honey sauce. Sounds “devine”! Schmatz Beer Dining, a German-themed restaurant in Tokyo, Japan, is changing pizza as we know it. Instead of classic ingredients like prosciutto, peppers or tomato sauce, it uses spun sugar as the main ingredient for one of its pies. And if you’re thinking that this is probably just a pizza-shaped dessert, you’re wrong again. 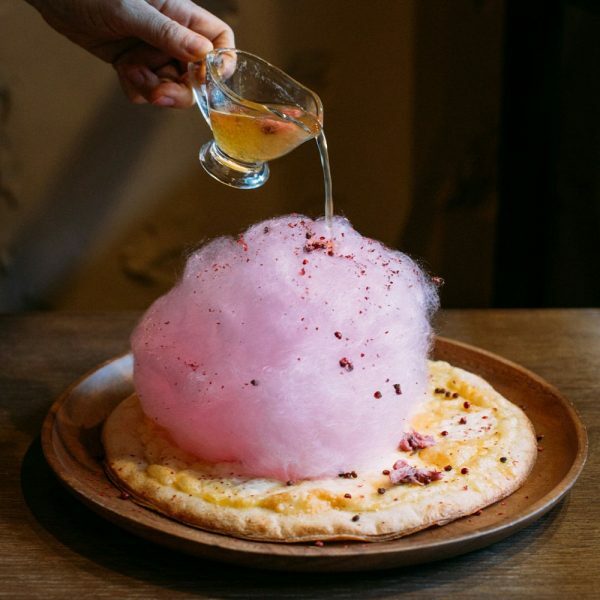 The bizarre dish consists of a thin-crust pizza dough pie, cheese and cotton candy. The ketchup is replaced by a special honey-based ginger sauce that is poured over the cotton candy, melting the candy floss and allowing the sugar to really get into the pizza. Sick of waiting for the local authorities to fix the streets and roads of their pothole-riddled city, a group of self-described anarchists decided to patch the pesky holes themselves, even if it means breaking the law. 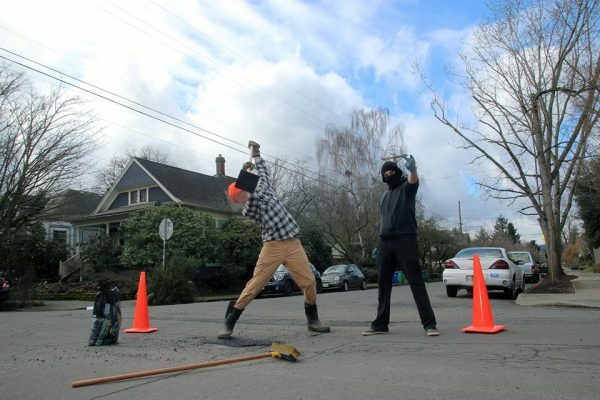 The Portland Anarchist Road Care (PARC) was founded by a small circle of friends in response to the deteriorating road conditions in the Oregon city, which they believed made driving or cycling more costly and dangerous for citizens. They grew tired of waiting for the city to fix this pesky problem, and decided to do it themselves, using a well-known technique called cold patching. The anonymous anarchist have fixed potholes on three Portland blocks so far, but are constantly on the lookout for new crevices to fill. 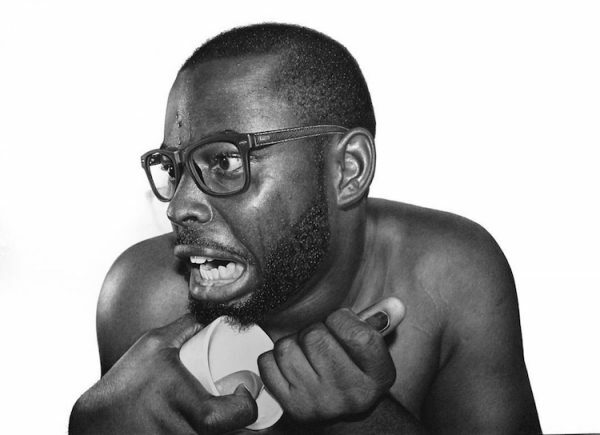 Arinze Stanley is a talented young Nigerian artist whose works often leave people scratching their heads and asking themselves if they’re looking at a pencil drawing or a high-definition black and white photograph. Yes, his drawing skills are that good! Arinze’s interest in art, and drawing in particular, was sparked at a young age, primarily by the fact that he was always surrounded by paper. His family ran a paper company, so he would often kill time by grabbing a piece of paper and trying his hand at drawing. But he only started exploring hyper-realism in 2012, and became a professional artist a year later. He has never taken any professional art classes, and claims that the level of detail he is able to produce is solely the result of years of practice. Looking at his fantastic artworks, it’s safe to say that he has come a long way in very little time. 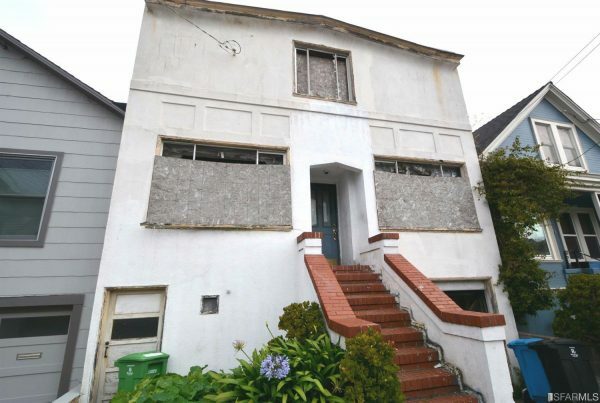 You know housing prices in San Francisco are absolutely insane when the cheapest house on the market costs half a million dollars and is virtually uninhabitable. It’s no secret that buying a house in the Bay Area is next to impossible for the average person. According to Zillow real estate experts, the median listing price for a detached home in San Francisco is $1.15 million, and the median monthly rent is around $4,000. That’s a lot more than most people can afford, but if you keep an eye out, you can sometimes find better deals. Like this house in the Excelsior District of San Fran currently on sale for “just” $499,000. Half a million bucks is not pocket change, but compared to most of the houses listen on real estate sites, it’s practically a steal. The only problem is that you can’t really live in it. 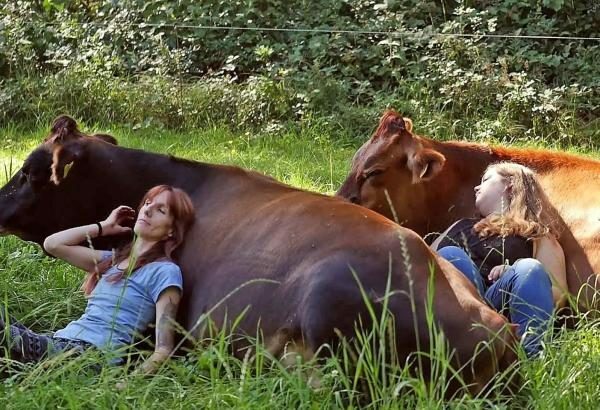 If you’re looking for a unique but sure way to let loose and forget about the stress of your daily life, head off to the Swiss country side for a session of cow cuddling therapy. It’s sure to do the trick! Sibylle Zwygart’s family runs a dairy farm in Tenniken. Switzerland’s Basel-Landschaft canton. Three years ago she and her father were watching over one of their cows during calving, and while the birth of three adorable calves was usually a joyous event, this time was different. Her father’s trained eyes immediately noticed that two of the calves were sterile females, and the third was a bull, so none of them were of any use for their dairy business. Sibylle’s father planned to sell them all to the slaughterhouse, but she pleaded with him to let her keep them. It took some convincing, but the farmer finally gave in to his daughter’s heartfelt pleas, on one condition – that she somehow find the money to cover the cost of their feed and veterinary bills. Sibylle agreed, and has spent most of her time since then looking after and training the three animals, which she named Svea, Sven and Svenja. As soon as they were old enough, she started putting them to “work”. Paan has been a part of Indian cuisine since Vedic times, and today, many varieties are served at street stalls all across the Asian country. 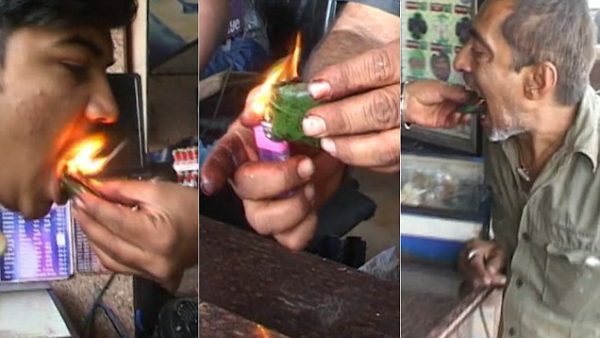 But with competition as fierce as it is, paan vendors are constantly working on new types of paan, the most impressive of which is definitely fire paan – a flaming hot snack that is literally set on fire. Found at nearly every street corner in India, paan regularly consists of a mixture of spices, mukhwas, dried fruits, and sugar wrapped inside a betel leaf. According to Ayurvedic medicine, paan can cure a variety of ailments, including coughs, colds and headaches, but it is also used a breath freshener and a virility booster. Fire paan is basically a regular paan that just happens to be on fire when it goes into your mouth. 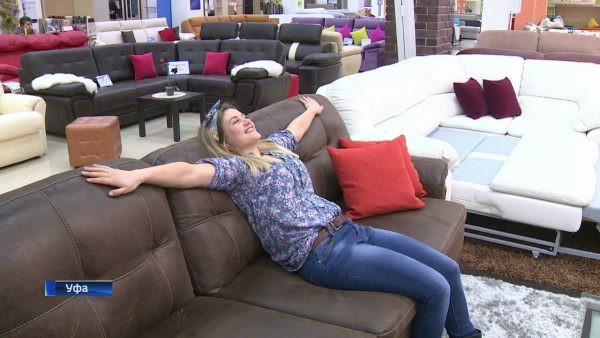 26-year-old Anna Cherdantseva, from the city of Ufa, in Russia’s Bashkortostan Republic is a full-time sofa tester, spending up to 10 hours every day trying out new sofas for comfort and safety. Last month, Russian furniture giant MZ5 Group announced that it was taking application for a new position – full-time sofa tester. Although all new products are tested in a specialized laboratory, management decided that in order to better meet the needs of consumers it needed some feedback on real-life use of its sofas. In just a few days, MZ5 received over 5,000 job applications from people eager to spend most of their time sitting and lying on sofas. “We were selected candidates in several stages,” MZ5 Group spokesperson Anastasia Russkih said. “Initially we checked their CVS, and then we let them tell us why they wanted the job.” Eventually, the furniture company shortlisted just 7 candidates, out of which Anna Cherdantseva, a 26-year-old marketing expert, proved to be the most suitable for the job. Remember the tragic yet heartwarming tale of Hachiko, the loyal Akita Inu who spent nine years waiting for his owner to return from work, not knowing that he had died of a brain hemorrhage? His legendary loyalty is now being emulated by Thor, a dog of the same breed, who goes on the same walk he and his departed owner used to go on, every day. Every day, the people of Caçapava do Sud, a town in Brazil’s Rio Grande do Sul region witness a touching display of animal loyalty. 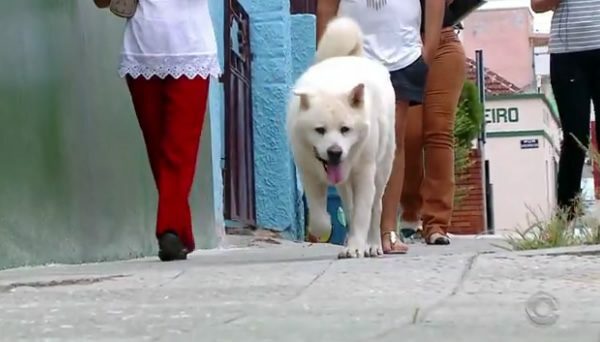 In the morning, Thor, a white Akita Inu, takes to the streets, retracing the daily walk he and his owner used to take up until a year ago, when the 58-year-old man died. He stops at all the usual places his master used to spend time in, lets those who know him pet him on the head and even poses for pictures, before returning home to his adoptive family. That’s become his daily ritual for the last year or so. A hot-pot restaurant in Taipei, Taiwan, recently got a lot of attention online after photos of young bikini-clad waitresses serving and interacting with customers went viral. The hot-pot restaurant business in Taiwan and mainland China is very competitive, and it’s very hard for newcomers to get an edge by relying solely on the quality of the food and impeccable service. So the owners of ‘Fresh Feast’, a new restaurant that opened in the Songshan district of Taipei, decided that they needed some extreme marketing in order to get the word out about their eatery and attract customers. For the grand opening, they hired five good-looking models and had them serve customers dressed only in skimpy bikinis. With Easter just around the corner, Christians around the world are stocking up on eggs and dyes for the traditional egg dyeing. But while most of us have grown used to chemical dyes, some still prefer the natural approach, like boiling white eggs with onion skins. 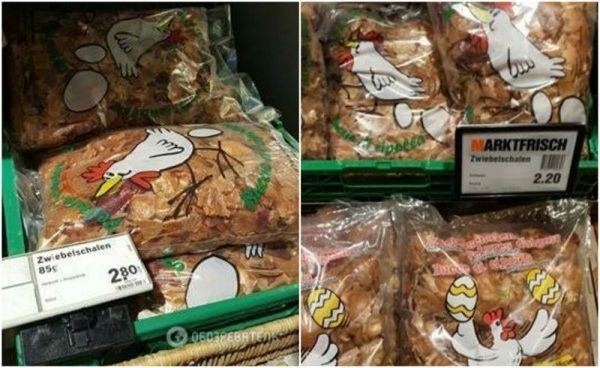 This is apparently very popular in Switzerland, where people actually pay for bags of onion peels selected specifically for egg dyeing. Dyeing Easter eggs with onion skins is not a Swiss tradition. In fact, I remember my mother used to do it when I was little, taking differed plant leaves, and placing them on the eggs before wrapping them in a large onion skin, putting them in a sock and boiling them in a pot of water with more skins thrown in for a more intense coloring effect. But she used orange skins saved up for weeks in advance, instead of buying them from the supermarket, like some Swiss do nowadays.